I was making my Christmas granola, and as I sprinkled in the figs at the end I realised that in all my time creating healthy recipes I’ve kind of neglected them as a fruit! So this recipe is effectively my apology to all the figs out there, although for all I know, they probably don’t even give a fig. Right then, obligatory fig pun out of the way let’s forget it ever happened and cut to the chase shall we? Let’s talk fig rolls. Did you ever used to have them when you were little? I sure did, and they bring back such lovely memories of after school fun and playtime snacking that I couldn’t not make a little healthy version for you guys. 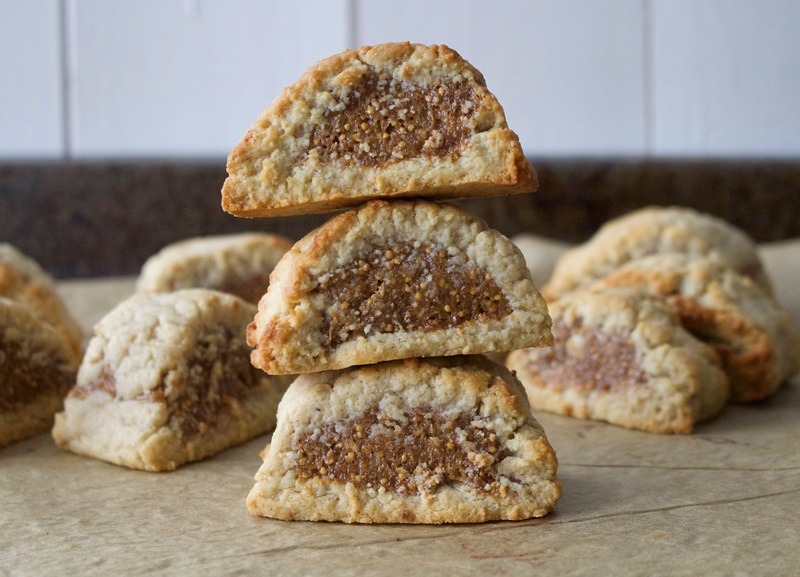 These bites of yum combine a crunchy biscuit outside with a chewy, sweet, figgy filling – I mean what a combination hey? They’re great for giving to kiddies as they only have natural sugars in them, I can’t wait for baby H to try them! I’m sure she’ll love them, as will my kitchen table/floor/clothes/face once she’s kindly distributed them across the kitchen! So get ready to be transported back to your childhood with these figgy delights! Happy baking! Preheat your oven to 180C. To make the biscuits, combine the ingredients in a food processor and whizz for 2-3 minutes, or until they form a smooth, slightly sticky dough mixture. Roll the mixture into a big ball and then using your hands or a rolling pin on a chopping board or work surface roll it out into a rectangle six inches across and about 1/2cm thick. To make the filling, simply pop the ingredients in a food processor and blend for about five minutes, until a sticky fig jam forms. Spoon this onto one half (lengthways) of your rolled out dough rectangle, leaving about a cm at the end. Now for the (slightly) fiddly bit – fold the non-jam covered half up and over so that it touches the other side, and with your hands join the two edges together. Once you’ve done this it should basically look like a long slightly squished sushi roll. With a sharp knife, cut this into slices about 2cm thick, and pop these standing upright on a baking sheet. Bake for 10 minutes, then remove from the oven and leave to cool. 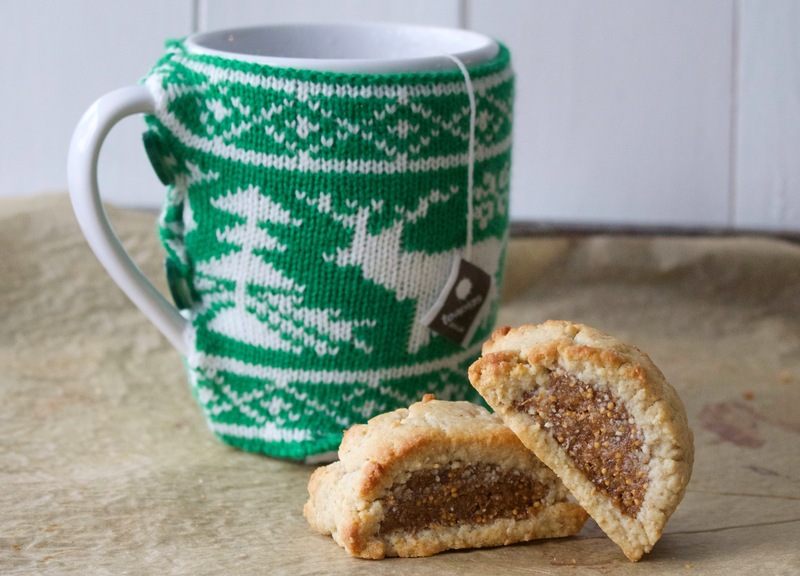 Now put the kettle on, grab a couple and relax!